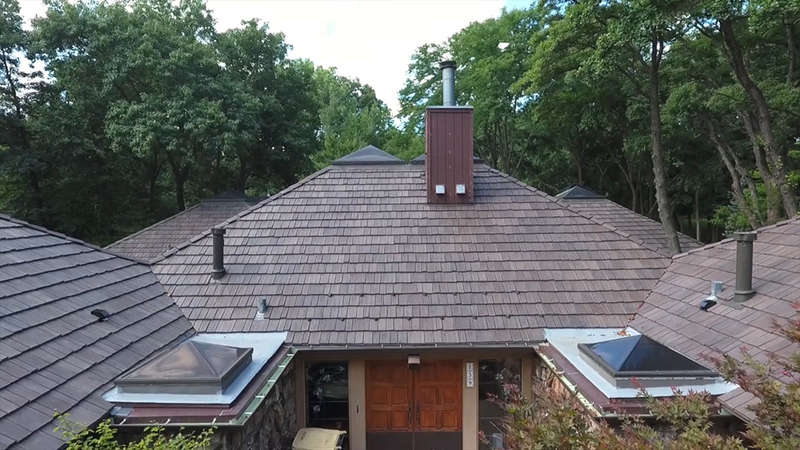 Take a look at their video online (click HERE) and you’ll see the incredible transformations this 35-year old company can accomplish with DaVinci composite shake and synthetic slate roofing materials. No matter where you live, you’ll be impressed by how this video showcases the installation of Bellaforté Shake roofing products — from a unique viewpoint that many homeowners don’t get. Travel “up on the roof” with this video to see the installation of our durable shake roofing materials. Plus, you can see “before and after” images of how a DaVinci luxury roof can change the appearance of a home exterior. Cedar Roofing Company has installed DaVinci roofing products since 2005. Their team of in-house installers prides itself on using quality products, without cutting corners. Interested in more details on why Bellaforté Shake Shingles = Peace of Mind? Then check out this hurricane preparedness video showcasing the benefits of polymer roofing tiles. Just click HERE.